The bunny holds one small piece of chocolate. I will be exhibiting my work at a Maker Faire in Pennington, NJ on Sunday, April 14th from 10-2. I will have a make and take of my slice form sphere. I will also have a business card to hand out to interested attendees. Here is the PDF of the sphere slice form and my business card. I used 65 lb. cardstock. Here is the .Studio file for cutting on the Silhouette Cameo die cutting machine. Here is the math behind the construction of this slice form sphere. Here is the PDF. I used 65 lb. yardstick for the bunny and copy paper for the envelope. Here is the .Studio file. The placement of the gear on the left or right side of the small gear, and the direction the crank is turned, clockwise or counterclockwise will determine the direction in which the carousel rotates. Make the box, follow just the directions here. The box is already included in this file. Make the gears, follow just the directions here. The gears are already included in this file. Make the carousel portion of the model here. Here is the PDF. I used 65lb cardstock. Glue the cones as shown. 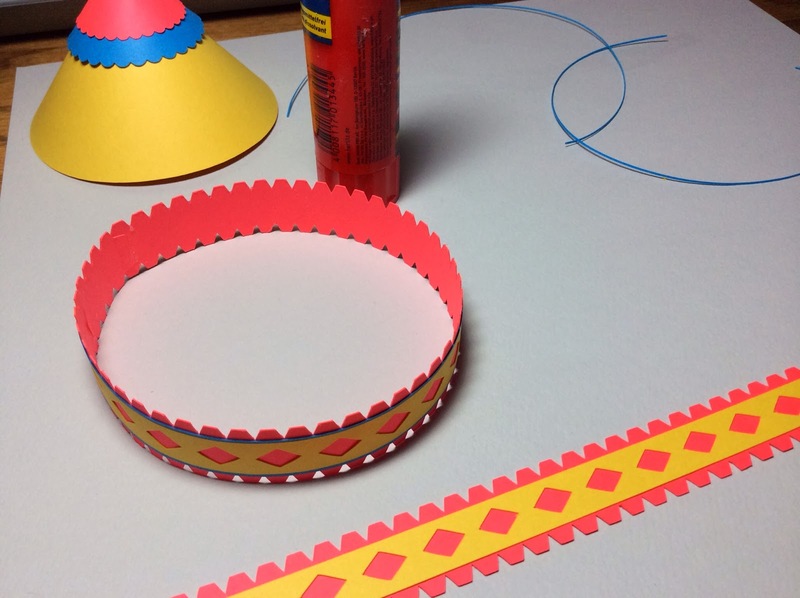 Glue the cones together to make the top of the carousel. 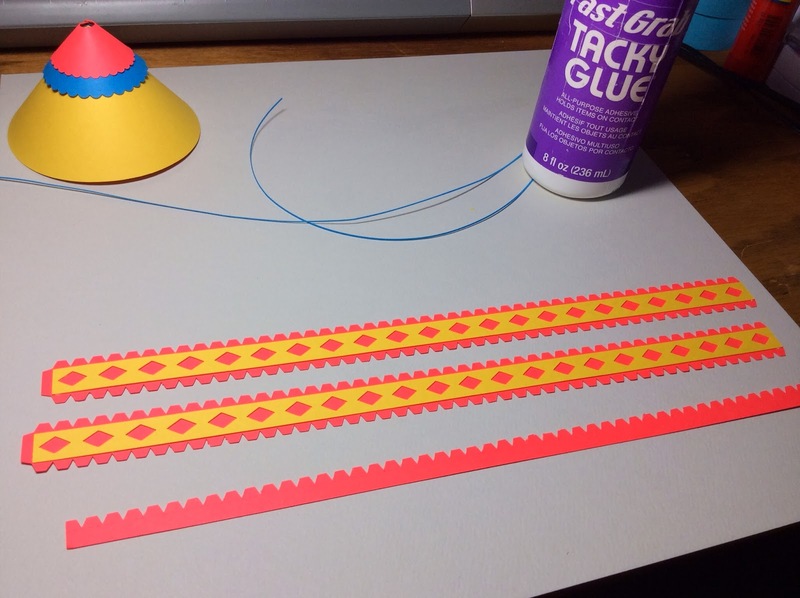 Glue strips to the border as shown. 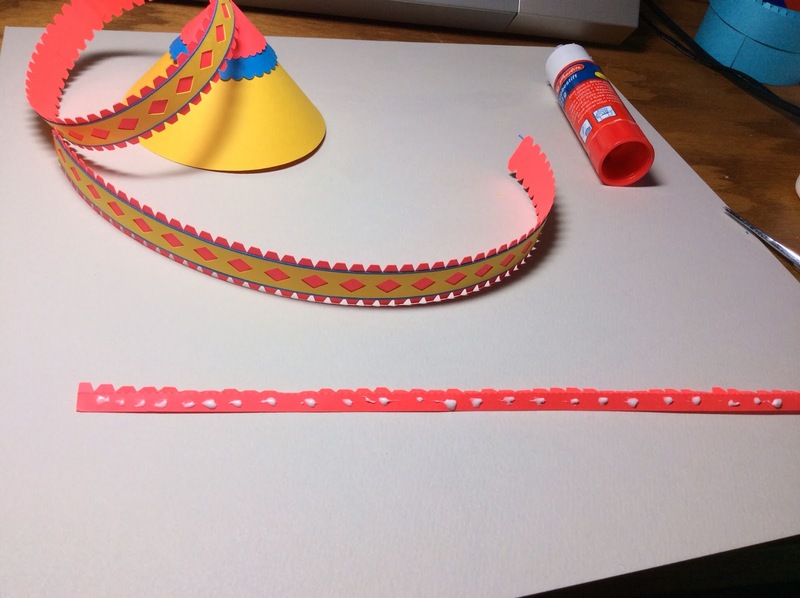 Slide the small strips of paper over a glue stick. Form into a circle and glue. This will be for the top of the carousel. Glue as shown and align the design to the top of the strip. Notice the placement of the ledge piece. The trapezoid design is at a right angle to the strip. 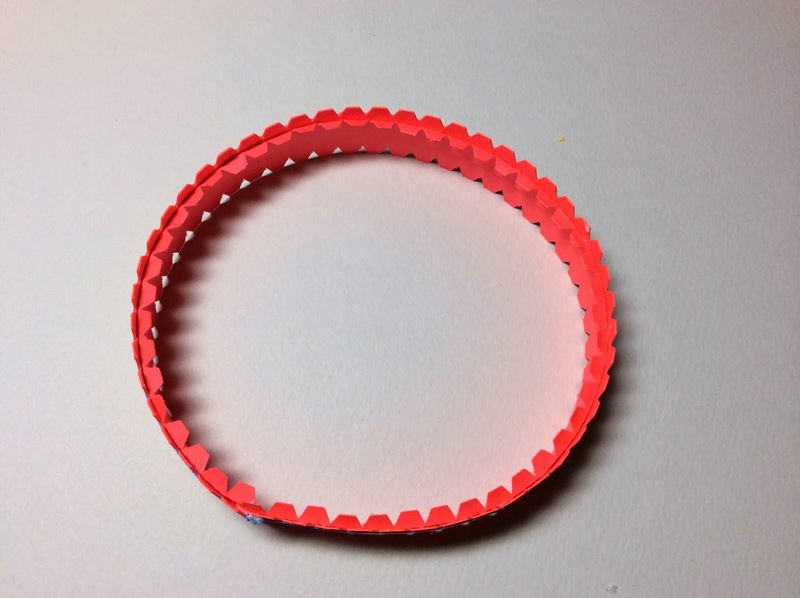 Bend into a circle and glue together. Bend the tabs at a right angle. Repeat for the other strip. Apply glue to each tab. Adhere the center disk with the whole in the middle for each of the assemblies as shown above. Place a Glue Dot in four spots on the canopy as shown above. Add four Glue Dots to the inside of one of the assemblies. Glue the horses to the circle using the tab as a guide for placement. Make the axle. Glue the axle to the center. Add the second circle, align the holes for the horse and then glue the axle to the second piece. Slide the carousel base on the axle. Add the horse assembly and add a few glue dots to the axle where the horse assembly meets the axle. Slide the carousel canopy onto the axle. Make the finial. Apply a few glue dots to the finial and add to the top. The carousel is now complete. Here is the PDF. I used 65 lb cardstock. The main axle has a large gear and a hand crank attached. The large gear intertwines with a small gear. This movement of the small gear moves another axle which animates the model. Glue the main axle and hand crank into a four sided tube. Glue the end of the hand crank closed. Its the side with just two tabs. Insert the axle into the center of the end cap. Insert the hand crank into the small offset square as shown above. Glue the tabs down to both the main axle and hand crank. Crease the bridge parts as shown above and glue together. 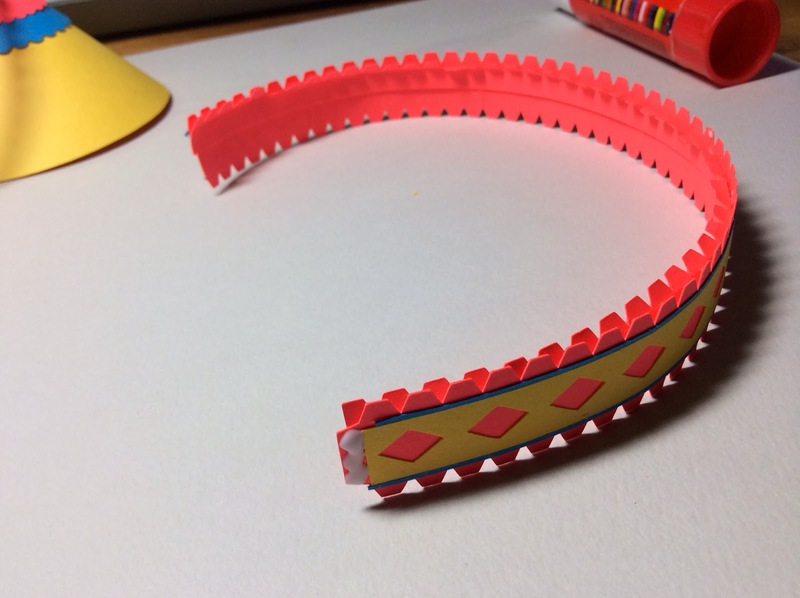 Bend the center arch and apply glue to the inside fall the tabs. Slide the archway onto the bridge piece. Adhere the glue. I had to use a wooden stick to help apply pressure to adhere the glue from the inside of the bridge. 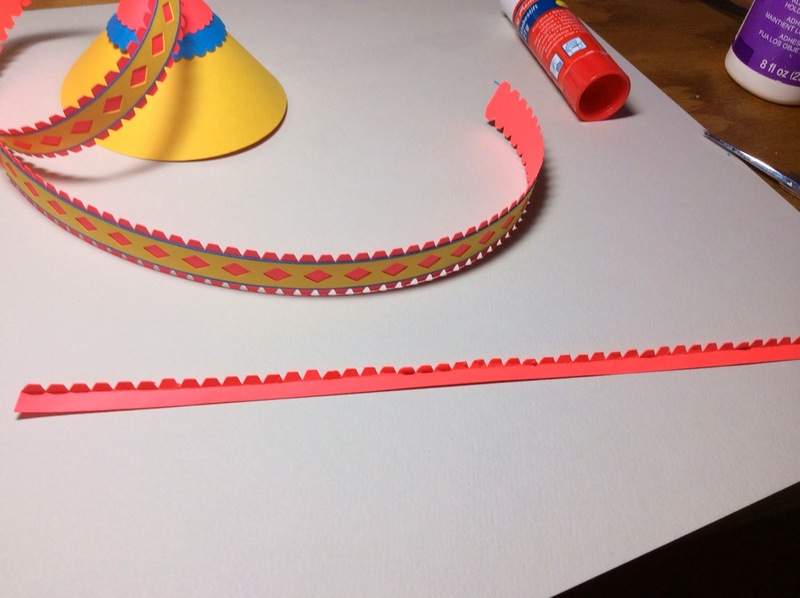 Make the gears by gluing the tabs together. Make sure when gluing the large gear that the center square is aligned properly. Crease the long axle. Apply glue to the one edge as shown. 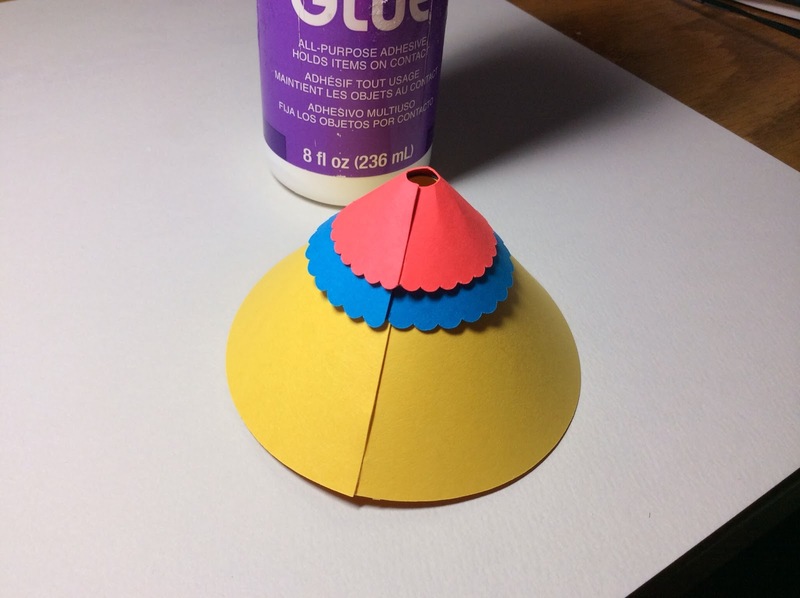 Fold in half and apply pressure to the area where the glue was applied. I used a dowel to open up the axle and to make the large axle into a tube. Glue the axle into the round circle as shown above. Thread the axle holder onto the axle. Thread the small gear onto the large axle. 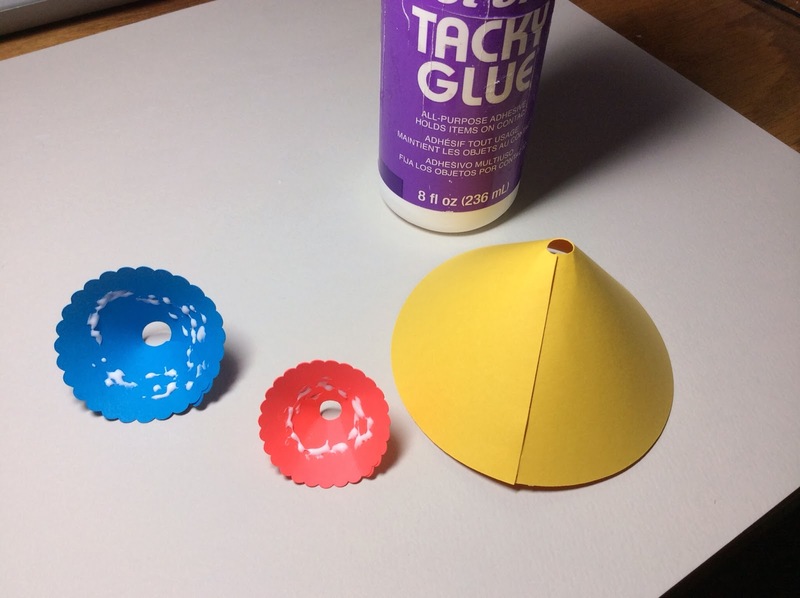 Use mini glue dots to prevent the gear from moving. See photo where the glue dots were placed. Attach the glued axle holder to the center of the bridge. Put two glue dots on the tab. Insert the large gear into the box and thread the axle with the crank through the hole in the side of the box, through the axle, underneath the bridgeand then through the hole on the other side of the box. The assembly should look like this photo. Thread an end piece through axle and glue the tabs down. Glue an end piece on one side. And a crank piece on the other side. The gears should mesh. Apply a few Glue Dots by the axle on the large gear. You might have to use a pencil or a wooden stick to reach the axle. 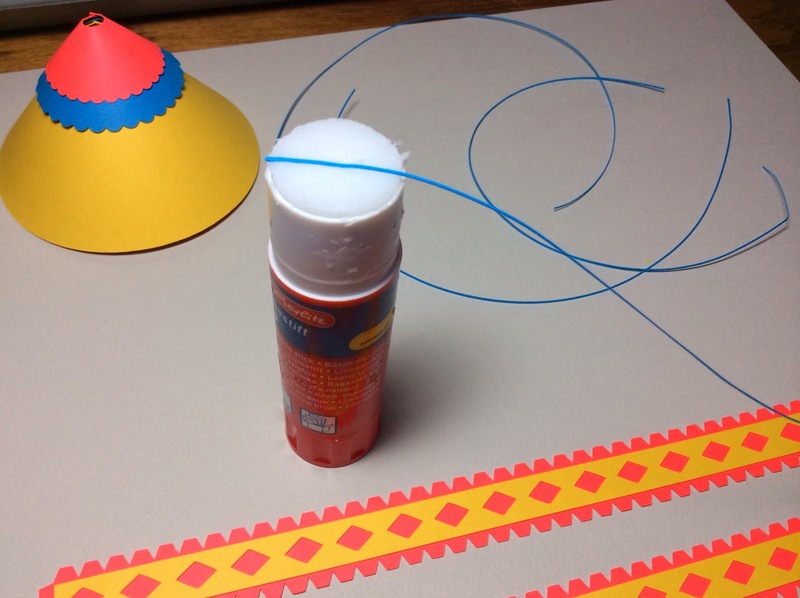 The placement of the Glue Dot is shown in the picture. It is on the main yellow axle. It is a little shiny blob. To get notifications by Email when a new design is posted enter your Email address. I design paper models which integrate art, architecture, engineering and mathematics (retired math teacher). 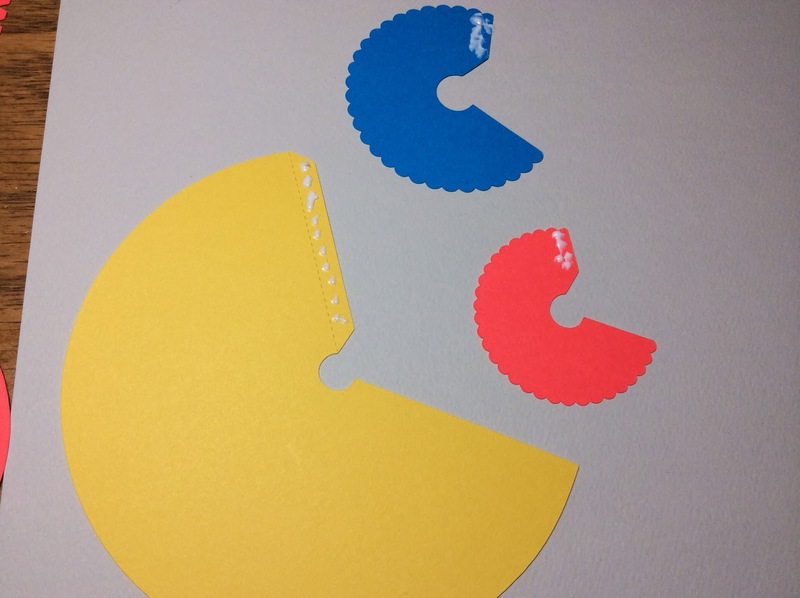 I use a Silhouette Cameo to create scale drawings and to cut out my paper model parts. I post my free designs and how to assemble them on my blog, papercraftetc.blogspot.com. I am a collaborator for the MakeToLearn.org website which brings the art of making to learning.